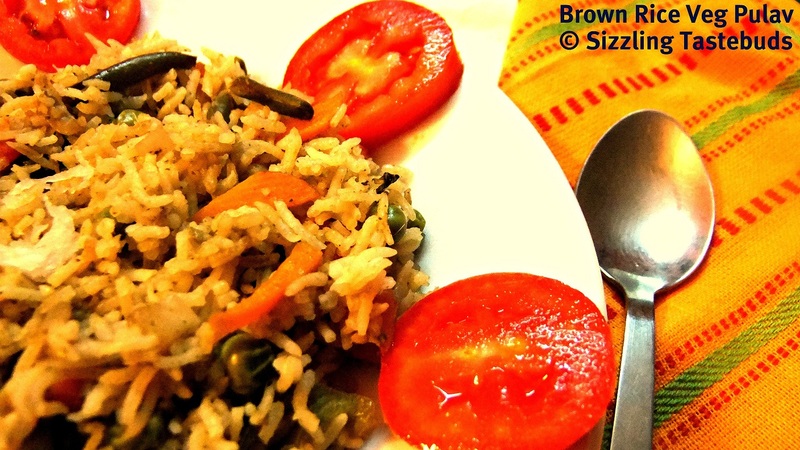 2) Make a paste of all ingredients under "Masala Paste" using minimal water. 3) In a pressure cooker / open pan, heat oil. Add the whole Garam Masala. When they slightly brown, add the sliced onions, capsicum, tomatoes, salt and stir well. Then add the ground paste and fry till the oil separates. 7) Serve hot with any raitha or curd / yoghurt for a yummy meal. 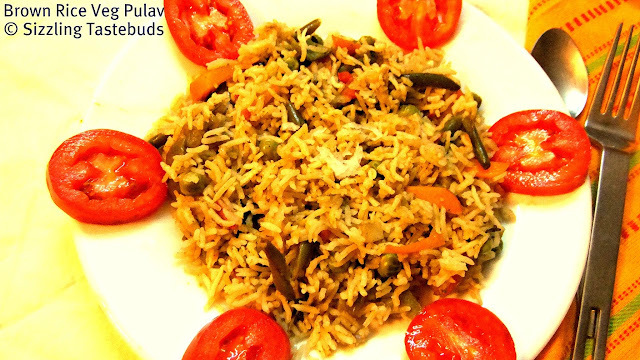 The pulao looks great, now I know why mine didn't turn out so well, I kept the same water as for regular basmati rice, thanks for the tip Kalyani..
Nice healthy rice Kalyani..I loved it. Healthy pulao. lookds delicious too.